Mt. Thomas station is full of secrets. Maggie and PJ have come back from holidays deeply in love but determined that no one, especially Tom, will find out about their new relationship. Meanwhile, Nick and Adam have intercepted Dash's Confirmation Certificate as a fully-fledged Constable in order to have it framed for a special presentation, and Tom and Chris are conspiring to organise a surprise celebration for Dash's 20th birthday. Into this web of intrigue comes a very distressed Elly Winslow, asking for police protection because her ex-husband, Danny Hobson, has just been released from prison in Queensland where he was serving time for sexually molesting his own son, and she is terrified that he will come looking for them. Tom does his best to calm her fears, sending Dash and Maggie out to the little one-teacher school attended by Elly's boys, Mark and Joey, to investigate a report of a man seen "hanging around", by Dash's young niece, who has a very well-developed imagination. Although inclined to dismiss Macca's tale, the Heelers are disquieted by the news that Danny Hobson has had his parole shifted to Victoria. Maybe Elly's fears are justified. The Heelers track Danny down and bring him in for questioning. Unfortunately they can't charge him for anything and when Nick's attempt to make Danny break the Intervention Order taken out by Elly misfires, Tom has no choice but to do a deal with Danny whereby he will return to Queensland by bus. Before he does, Danny gives Nick some food for thought — why is little Joey still so traumatised that he doesn't speak? Could someone else be molesting him? The next morning the Heelers learn that Danny wasn't on the bus when it arrived in Sydney. Figuring they have some hours before his return, Tom sends Dash out to Flat Gully School to take the kids on a scheduled excursion to the Magistrates' Court. Then the Heelers learn that in fact Danny got off the bus in Albury — he could already be here. And he is. Dash is taking a warning call from Tom when Danny arrives, demanding the boys. When he learns that Joey is home sick today, he produces a sawn-off riffle and forces his other son Mark, to phone home. When Elly discovers that Joey is missing, Maggie and PJ find an answering machine message from Danny, asking Joey to meet him at a secret place. They rush to the little Flat Gully schoolhouse only to find it deserted — except for one sick little boy and a trussed up bus driver. Where are Dash, the teacher and the other children? Dash is somewhere out there in a bus with a group of school children, their teacher and an armed gunman, and the Heelers are feeling especially bad about it because they led Dash to believe that they've forgotten her birthday. When the bus is found abandoned, the Heelers must decipher both true and false clues in order to find the missing children. Adam's mate, Wazza Tully, is in trouble — Mandy Barnes wants him charged with sexual assault after an incident at the Imperial where a drunken Wazza tried to grabs her breasts. Tom sends Adam to "have a few words" with his mate and warn him to stay off the grog — especially at the footy club fund-raiser. The benefit features Justin de Carlo, an illusionist and stage hypnotist. All the Heelers are there, and some of them even find themselves up on stage as volunteers, as does Wazza. But when Justin suggests that his hypnotised volunteers go into the audience and kiss the person they fancy the most, the whole town is astounded when Wazza heads straight for Adam and kisses him full on the lips! Although Tom is inclined to play down the situation the following morning, believing the less fuss made, the sooner it will be forgotten, Wazza demands police action, convinced that he has been tricked and defamed. Nick discovers an obsure law that makes stage hypnosis against the law, but when they point this out to de Carlo, he challenges them to prove that he actually hypnotised anyone — it was all just an act! Adam tries to calm down his embarrassed friend, but when Adam goes to Zoe for a professional opinion about hypnotism, he is far from reassured when she tells him that subjects rarely do anything against their nature when under the influence. So the chances are that Wazza is actually gay and over-compensating. This is obviously what his footy mates believe when they attack Wazza for trying to join a practice session. Adam arrives in time to witness the fight but doesn't intervene, not wishing to be branded with the same stigma. Wazza refuses to charge his attackers. Wazza is soon in trouble again when he attempts to talk his fiancée out of breaking off their engagement but is interrupted by her fist-wielding brother. Adam breaks up the fight, but is cool towards his former mate. By now Adam is not feeling proud of his betrayal of friendship, but when Justin De Carlo's car is found run off the road, he has to believe that Wazza may have been responsible, even though there are other suspects. When Wazza is found swilling down pills and swaying drunkenly on the football grandstand roof, it is Adam who talks him down. The next day there are a couple of surprise confessions with regard to De Carlo's accident, only one of which turns out to be correct. And Adam is at last able to persuade his friend to charge the bigots who made it impossible for him to stay in the town. A new resident, Bob Barker, comes in to the station to report a burglary. This seems normal enough until Maggie and PJ realise that Bob has had, not his contents, but his whole house stolen. They go out to investigate the property which Bob claims he hasn't seen for five years (since his aunt left it to him in her will) and find only the stumps on which the house sat. The Heelers tell Bob and his daughter Pippa that they will chase up the matter but it could be difficult, considering the theft could have occurred any time over the past five years. Financially strapped, Bob wonders where he can now spend the night but Chris agrees for him work a shift at the Imperial in return for a room. PJ and Maggie get on the trail of the missing house but find every lead dead. The only local house moving company in town hasn't done that sort of business for years. The other avenues the Heelers pursue, such as crooks selling off the parts for money, are equally fruitless. The next day, PJ and Maggie are called out to a dispute at Bob's property. He and his daughter decided to camp there until their house was found but an elderly lady, Pamela Saunders, is determined to pull down the tent. She claims that the property is hers and that the man camping here lost it to her because he reneged on a loan. Bob vigorously denies this, and when he tells Pamela his name she becomes flustered. She loaned money to a Mr Smith, so who is Bob? The Heelers do some background work on Bob and discover he is actually an ex-con who had done time for fraud. Is he up to his old tricks? Meanwhile, Tom has nervously asked Sally Downie to dinner. While Tom and Sally are enjoying each other's company, they are interrupted by an old friend of Sally's — her not-so-ex-husband, Ray. The fact that she has a husband is news to Tom and presents a huge obstacle to their growing friendship. Next, Maggie and PJ have a breakthrough on the trail of the missing house. It seems that an over eager worker at the house relocation company is behind it. They have also made headway in discovering the real owner of the land. It seems that Bob does have a claim and that Pamela has been conned out of tens of thousands of dollars. Maggie and PJ are now positive that fraud has been perpetrated, but not by Bob. They look into the whereabouts of the original land title and find that the lawyer who has been holding it is none other than Sally Downie. Tom attempts to remain unbiased as the investigation increasingly points towards Sally. He does, however, take control when PJ and Maggie discover that perhaps more than one house in Mt. Thomas has been sold under false pretences. Faced with the mounting evidence Tom is forced to consider the idea that Sally may have committed fraud to supplement her income. The intrusion of her very suspicious husband only seems to compound the issue. Tom is faced with a dilemma: should he risk his bias and continue to try to prove her innocence, or leave it to Maggie and PJ in case his investigation reveals a side of Sally that he is unwilling to face? Nick is selected to be the subject of a "Day in the Life" feature by local reporter Tony Timms. Not exactly thrilled, Nick decides to bore Tony Timms to death, showing him exciting police work like putting petrol in the car and directing traffic around a bale of hay on the road, hardly the stuff for a hard-hitting news story. Tony is getting increasingly frustrated and Nick is loving every second of it. At the station some important news has hit — a review team will be arriving to decide whether the station is to be downgraded or not. Tom tells everyone to look as busy as possible. He wants it to look like Mt Thomas is the crime capital of Australia. Then PJ remembers that Nick is out boring the pants off Tony Timms. Tom gets on the radio and tries to cryptically explain the situation but Nick hasn't got a clue. Next, Merv Poole arrives at the station and dumps a bag of rubbish on the front counter. He claims his next door neighbours have been putting their rubbish in his bin and he wants something done about it. 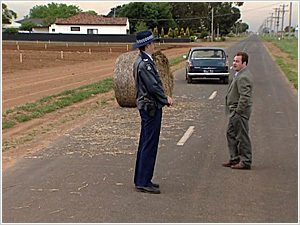 Nick and Tony go out to Merv's for a bit of community policing. Back at the station Tony launches into a speech about how the Mt Thomas police have the most over-staffed and under-worked station in the state. To make matters worse, the Heelers realise that the review team has also heard this outburst. When the review team goes off for lunch, Tom takes the opportunity to tell Nick that he must make sure that Tony sees a Mt Thomas full of crime; a place that needs every available member to police it. Opportunely, Leila Clegg arrives at the station and reports that Blanche Moore hasn't delivered her sponge for the bake-off; she hopes nothing has happened to her. At this news Nick springs into action. They could have a missing woman! 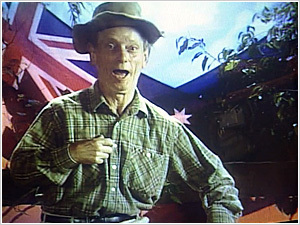 Note: a fun episode that plays with the critic's notion that Mt Thomas would have to be the crime capital of Australia. A nice twist end to the bake-off storyline too. PJ and Maggie are on the way to the station when they come across two youths speeding in a stolen car. They pursue, but lose the car over the hill. Cresting the rise, PJ and Maggie find the car crashed into a guardrail; one boy is lying unconscious in the car and the other is staggering around. PJ calls for an ambulance and questions the conscious boy, Dean Hartley. He admits, on record and on tape, to driving the stolen car and accordingly PJ brings him in for questioning. At the station Dean begins to complain of a sore shoulder. Even though PJ wants to keep him in for questioning Tom insists that his injuries be checked out at hospital. When word comes in that Dean has a broken collarbone, the fact that Dean was questioned before being given medical assistance has outraged his parents and Monica Draper arrives to sort out the mess. At the hospital, Dean retracts the statement he gave to PJ at the accident scene and is now claiming that his mate was driving the stolen car — he had nothing to do with the car theft or the chase. Monica is after blood; she is extremely unhappy with PJ's handling of the case and decides to take control. Dean is brought to the station by his parents for further questioning but events are interrupted by a tousle between Dean's father and PJ. When they finally get to push PLAY on the tape recorder nothing happens — the tape is missing. Everyone present in the room is searched but the tape has vanished. PJ is sure that Dean is behind the theft but can't find the proof he needs. Meanwhile, Dash has been taking an interest in a young truant, Lucy Street. Her truancy and attitude are clearly cries for attention to her single mother, cries which are ignored. In fact her mother makes it clear to Dash that she is no longer interested in the "inconsiderate little brat"! Back at the station, PJ and Maggie are piecing together the puzzle of the missing tape. They realise that the one place they didn't check was in Monica Draper's handbag. Monica agrees to the search and it reaps a result that no one really expected, the tape is there. Monica is momentarily shocked but eventually admits to the theft. PJ is unable to believe that Monica would risk her career for nothing; suddenly he goes from being her greatest detractor to her champion. But the secrets that PJ uncovers on his search for the truth are more shocking than he ever imagined. Following a tip off, Nick and Dash discover Lucy and a few of her friends inhaling the fumes from aerosol cans. When they pursue the girls Lucy collapses, gasping for breath. Dash rushes her to the hospital before contacting Lucy's mother. Once she has ascertained that Lucy isn't going to die she tells Dash that she won't be rushing over to the hospital to see her any time soon. She has other things to do. Dash is left to help Lucy piece her life back together. Nick and Maggie are on patrol when they encounter an oddly parked vehicle. Investigating, Nick is taken aback to discover the car belongs to his parents, Klaus and Elizabeth, and that their car has been involved in an accident. Nick brings his parents to the station to report the accident, introducing them to his colleagues — including the newly promoted Senior Segreant Tom Croydon, before taking them to the Imperial. The Heelers receive news that an Adelaide man suspected of brutally slaying his wife has used one of his credit cards in the area, so the Heelers should be on the lookout for him. PJ organises the team to alert all businesses in the area. Nick and his father have an adversarial relationship at best and Nick is apalled to learn his father has been driving without insurance for months after getting in too many accidents. At the pub, Klaus encounters Wade Knight, the man he claims caused the accident. 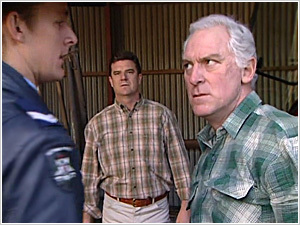 Klaus tries to start a fight but is dragged away by Nick who brings the pair back to the station. PJ and Maggie discover that Wade is from Adelaide — could he be the murderer? Dash aids PJ with the investigation into Wade's true identity. As they unravel his past they uncover a credit card scam that has penetrated both Victoria and South Australia. But the reason for Wade's crime is something no one has suspected and its discovery will put Dash in a life-threatening situation. Meanwhile, Nick is starting to feel really concerned about his father. Evidence is beginning to indicate that Klaus may be responsible for the accident. After a second accident, it seems that Klaus' eyesight is failing but he is refusing to admit it. Nick understands his father's stubborn nature but now his health has deteriorated to a point where he is endangering his and others' lives. This causes further tension between Nick and Klaus, putting pressure on an already strained relationship. Nick's bottled up feelings regarding his father's behaviour after the death of his wife and daughter come boiling over. Will they be able to reconcile their differences or will Nick lose his parents forever? PJ is stepping out in style — back in uniform as Acting Sergeant. But this isn't the only change at Mt. Thomas police station. A new member has arrived, CI Deborah Hill and none of the Heelers seems able to make a good impression on her. Deborah is currently suing another member, Sgt. Bill Parker, for sexual harassment and tensions increase when she catches the Heelers talking about it behind her back. Deborah is taking over a case from PJ, a series a warehouse burglaries which PJ believes to be the work of local Johnny Rossitano. He explains to Deborah that he has spoken to Rossitano's girlfriend, April, who has told him that Johnny has teamed up with two out-of-towners, Sean and Michael Murphy. The trio are planning to hit a warehouse tonight. Deborah doesn't think much of PJ's techniques or his information and the pair continue to clash as they prepare to stake-out the warehouse that night. Tom realises that something has to be done and so tells PJ to back off. When it comes to the actual stake-out, everything goes shockingly wrong. Deborah is pushed off a landing at the warehouse. When she is released from hospital, with a few good bumps and bruises, she accuses Nick of being the one who pushed her! She claims that Nick always had it in for her because she blew the whistle on his mate Bill Parker. Tom tries to dissuade her but she is adamant and sends her jacket off to forensics, sure that prints of Nick's hands will be on the back of it. Meanwhile, PJ is still pushing for further investigation into Johnny Rossitano's activities and Deborah has begun her own enquiries. With help from the other Heelers, she begins to uncover more evidence against Rossitano and the Murphys. The big source of information is April. When she goes missing, and Chris reports seeing her being dragged into a car against her will, Deborah and PJ fear that an investigation into burglary may turn into one of murder. On the pretence of continuing their investigation into a farm vandalism case, Adam and Dash spy Nick having some trouble handing Zoe a ring box. Dash and Adam strain to see whether or not she accepts the ring but their view is obstructed. Could Nick be getting married? The Heelers' speculations about the probability of coming nuptials are interrupted by a distressing call. Zoe's horse has been hit by a car. Rushing out to the scene, Zoe is beside herself, wanting to put the horse out of its misery herself. Nick convinces her to put her target pistol down and leave it to the vet. Zoe's grief over the death of her horse is amplified when she is told that during the course of the Heelers' investigation they have spoken to a man at her home who claims to be her boyfriend, a Mr. Martin Bridport. Zoe flies into a rage — Martin had no right to be at her place, and he killed her horse! Martin denies everything but Zoe is adamant, her ex-boyfriend is the culprit. Martin seems to be confused about his relationship with Zoe claiming that they are still lovers yet Zoe insists that it was over two years ago. None of this impresses Nick. In an attempt to smooth things over between them, Nick takes Zoe to a meal at the Imperial. But they are met again by Martin, who is apparently determined to prove that Zoe is his. 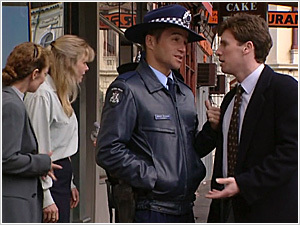 Nick loses his temper with Zoe's smarmy ex but is stopped from assaulting him by the arrival of the other Heelers. Next morning PJ is awaken by a call from Nick, he is at Zoe's property and Martin Bridport is dead. Homicide is called in and it doesn't look good for either Nick or Zoe. They were the first people at the scene of the crime and there is the matter of Zoe's missing target pistol. On top of all this Nick is refusing to co-operate with the Homicide detectives or even the other Heelers. Just why is he keeping his mouth so firmly shut is eluding everyone. Is he doing it for Zoe or did he pull the trigger? The Heelers begin an exhaustive and difficult investigation into what really happened the night of Martin's death? Who is protecting whom? Can the truth come out without either Zoe or Nick being found guilty? And if innocent, will Nick be able to continue as a copper? Certainly this will be the greatest test Nick and Zoe have ever faced. Are Nick's plans for marriage now irretrievable? The Heelers face some harsh realities when Dash believes she has stumbled onto a case of neglect. After nearly knocking down a child in the street, Dash searches for the child's mother who turns up hours later. Dash believes that the woman's gambling addiction has led to the neglect of her son. The mother is furious at the allegations and, in the face of very little proof, Tom tries to diffuse the situation. He explains to Dash that her job is to investigate crimes, not accuse mothers of neglect. Dash approaches social worker Tim Ryan who promises to look into the situation but Dash won't be satisfied until the child is out of the woman's care. 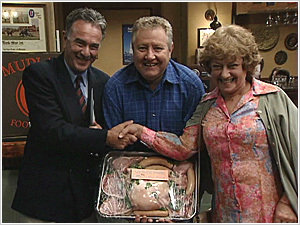 Meanwhile, Clancy and Leonie Freeman, an intellectually handicapped couple, are having trouble with their baby Rachel. Friends of the Heelers, they have been tricked into handing over all their money to a photographer/con-man who seems to work just within the boundaries of the law. Maggie and PJ would like to get the Freeman's money back but are not optimistic. The condition of the Freeman home is also worrying. The place is a complete mess and they seem unfamiliar with basic hygiene. Ignoring the other Heelers' pleas to keep her opinion to herself, Dash again approaches Tim Ryan. This time to voice her fears for Rachel's safety. Tom also begins to wonder about the Freeman's ability to care for Rachel. When he goes to visit, Rachel seems more cranky than usual and he deduces that she is quite ill. Clancy and Leonie are reluctant to take her to see Dr Zoe. Tom convinces them to make an appointment but is left with the feeling that maybe he made the wrong decision when he originally supported the Freeman's marriage and choice to keep the baby. Matters go from bad to worse when Tim Ryan visits the Freemans to assess their parenting ability. Clancy and Leonie are positive that Rachel will be taken from them and, in desperation, run away with nothing but a child's play tent. The Heelers have grave fears for Rachel's safety, particularly as there is an outbreak of meningitis in town. 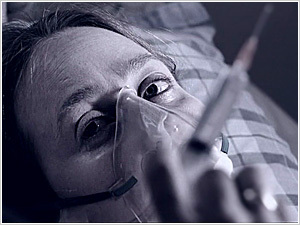 Considering that the Freemans have spent the night outdoors, Rachel's condition could be critical. They have to find the family and soon. Movie Fever has hit Mt. Thomas with the arrival of two film producers, Rip and Jake Vaughan, intending to make a film about the town's local legend — 1880's bushranger Starvation O'Flynn. Meanwhile, one of the locals, Don Sparrow, is busy making a commercial for Keith Purvis and his new bulldozer "Big Rodney." This piece of film-making has not, however, captured the minds and hearts of the people of Mt. Thomas the same way as the Vaughans' soon-to-be epic. PJ's detective antennae go off the minute he encounters the Vaughans. He doesn't like them at all, but is it because they could be criminals or because he doesn't appreciate them gazing into Maggie's eyes? PJ's suspicion of the Vaughans increases when petty thefts are reported on locations they have surveyed for the film. Are they using the film as a front for a burglary racket? The crimes surrounding the Vaughans become more mysterious when Big Rodney is stolen and Don Sparrow goes missing. All fingers point towards Glenn Rowan, one of the Vaughans' employees. But when Don Sparrow is found beaten inside the stolen bulldozer the Heelers realise they have stumbled onto something much more complicated than a burglary racket. Dash realises that to solve the mystery behind the Vaughans they will have to look into the legend of O'Flynn himself. But will the Heelers' quick history lesson be enough to lead them to the truth behind the Vaughans' trip to Mt. Thomas? Maggie takes on the responsibility of Assistant Crown Prosecutor in the high-profile murder trial of a Filipino woman charged with the brutal murder of her husband, a "good charitable bloke" who portrayed Santa every year at the RSL. The case seems like an open-and-shut win for the prosecution… but is it? The case takes an unexpected turn when a juror jumps to the defence of the accused, suggesting the woman must have been acting in self defence against her abusive husband, a man she alleges killed his first wife, a crime for which the juror's fiancé was convicted. 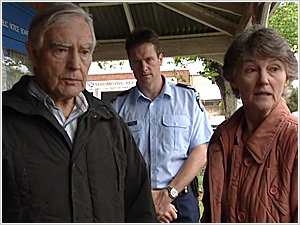 As the trial proceeds, the Heelers investigate the juror's claims and slowly begin to uncover the man's history of abusive behaviour towards women. The outcome of the case hinges on the emotional testimony of the only person who truly knows what happened, the accused. Dr. Zoe Hamilton' fears are realised when a woman suffering from Motor Neurone Disease is found dead. Her family's past pleas for her to be euthanised, which Zoe relayed to the police, make Zoe sure it was not the disease that finally ended her suffering.The Heelers begin an investigation into the death but everyone seems to have an alibi. The answers are closer than they think. Strange things are happening in the Eventide retirement home. Valuables are going missing, one resident is found dead under mysterious circumstances, and another endangers the lives of the others when he hallucinates after smoking marijuana. Are the two teenagers doing Community Service behind all the trouble? Or is there something sinister about Yvonne Dunn, the Administrator of Eventide, who seems to have a strange hold over her residents? Who's the person so desperate to get a place in Eventide that they're prepared to go to any lengths to get the existing residents to move to other Homes? As the Heelers investigate they learn that love is a powerful motivator for both young and old. The Heelers learn from Leila Clegg, another resident, that there have been other thefts. Yvonne Dunn starts to look pretty suspicious herself, she claims she did not report the thefts because it unsettles the residents, and Eventide has lost several other homes recently. Things become more serious when Hazel Spencer is found dead at the bottom of a staircase just after ringing the Heelers to say she has information about who stole her ring. Clarrie Edwards, an irritable resident who argued with Hazel shortly before death, seems a likely suspect for the thefts and the murder, until Yvonne's name comes up yet again. Not only was she the last person to see Hazel alive, she has Hazel's ring, which she says she found. The Heelers discover that many of the old folks who have passed away have left money and valuables to Yvonne in their wills. Was this of their own volition or were they persuaded? It seems that Yvonne has a strange hold over old people in her care. However, when it turns out that Hazel died of a heart attack, the Heelers are back to square one, until an anonymous tip-off leads to the discovery of all the stolen items in Clarrie's room. Clarrie swears he's been set up by Kali and Aiden. Things look even worse for Clarrie when he endangers the lives of the other residents by commandeering a mini-bus. He's hallucinating that he's back in a bomber in the second World War — and the cause of these hallucinations is marijuana, which has been mixed in with his tobacco. Did Kali and Aiden set Clarrie up for this too? There is no shortage of suspects, and no shortage of confessions either. Leila Clegg confesses, so does her fiancé Merv Poole, and then Kali says she is responsible. It takes a while for the Heelers to unravel the truth and find the true culprit — Leila Clegg. Seems she started the thefts to encourage residents to leave so that a place would open up for Merv and they could be together. Merv confessed to protect Leila, as did Kali. A visiting troupe of boxers at the annual Mt Thomas Show causes headaches for the Heelers with brawling and a rash of pick-pocketing incidents. The boxers and their matriarchal manager, Bonnie Crossing, aren't the easiest people to get along with, or the most helpful. The Heelers just have to sit it out till the troupes move on. But it isn't that simple. When Adam and Dash go to talk to the boxers about the latest pick-pocketing incident, they are met with stirring and resistance. The situation culminates in Adam accepting a challenge from one of the boxers, Jimmy Cutlass, in what amounts to a grudge match. Tom is furious and forbids it. Dash and Nick, who both abhor boxing and see it as senseless and dangerous, also strongly disapprove. But Maggie, PJ, Zoe and Chris can't see anything wrong with it, especially if it can be turned into a charity match to raise money for the local Blue Light Gym. Adam decides to go ahead with the match and Tom is goaded into giving it the reluctant nod when cornered in the pub. Jimmy offers Adam the option of just putting on a show and faking the whole thing to avoid injuries but Adam refuses, when he steps into that ring he's going to be punching for real — and for real it is. After being played with for the first round, Adam loses his head and knocks Jimmy out cold. His elation in winning soon becomes guilt and concern as Jimmy lies unconscious in hospital with possible brain injuries. Adam feels even worse when the pick-pockets are discovered: they are not the boxers, but a man and rwoman who travel around the shows to steal. When Jimmy disappears from hospital Adam finds him wandering dazedly down the road. As Bonnie guesses, Jimmy set Adam up to hit him as an excuse to step away from the boxing life. Adam, who can understand only too well the constraints of being part of a close-knit family, the police service, is sympathetic — close ties can smother you. "Mr. Lucky", is Enzo Fiorelli, a charming, charismatic, and successful con man. Several years ago he defrauded most of Mt. Thomas' Italian community for everything they had, destroying their lives, ruining businesses, and leaving a trail of grief and outrage. Enzo Fiorelli paid for his exploits with a long stretch in jail. Released, he inexplicably walked out of the Witness Protection program, blowing his cover forever, and returned to Mt. Thomas. The Heelers struggle to keep a lid on the community's righteous resentment for the man who caused so many of them so much pain. At first it's only hate mail, and then it's a brick through the windscreen of Enzo's expensive car… but then it's a bullet through one of his tyres. Is it the community? Is it Enzo himself, trying to get the Heelers to give him full-time protection? And why has he returned to Mt. Thomas, where there is so much hatred directed towards him. Enzo is intelligent and plausible and the hate mail he is receiving is genuine. He has no trouble persuading Sally Downie to take him on as a client. Tom, who loathes Enzo for the pain he caused the community, finds himself opposing Sally but Sally is a professional solicitor and must take her client's side whatever her personal feelings towards Tom. Prominent among Enzo's victims is Joe Fantini who was shattered by Enzo's scams. He lost his family market garden and found himself at odds with his own brother, Dave. Joe is embittered and seeking revenge, definitely someone for the Heelers to keep an eye on. Meanwhile, Mt. Thomas' plumbing technician extraordinaire, Charlie Clarke, thinks he has seen a UFO. Exploring, Dash and Maggie soon find the wreckage of a light plane crash in the bush near Charlie's place — mystery solved. Until, that is, Maggie notices that the pilot has been shot. Investigations soon reveal there were two passengers on board, both violent criminals with cop-killing on their records. When Enzo's daughter Gulia is kidnapped, the Heelers really have their hands full. Is the culprit Joe, the embittered victim? Or the two passengers from the plane? Or is this another one of Enzo's attempts to win police protection for himself? The Heelers discover that Gulia is the beneficiary of a trust fund account. When she turns eighteen years of age she gets access to the money, and she is turning eighteen in two days' time. Reason enough, it seems, for someone like Enzo Fiorelli to risk coming back to Mt. Thomas. But when Sally Downie is abducted, it seems the return of Enzo to Mt. Thomas and the arrival of the two men may well be linked. Could the vendetta against Enzo Fiorelli end in the death of Tom's new love? Sally Downie, the woman in Tom's life, has been abducted and the Heelers suspect the same two violent criminals who are holding hostage the daughter of local con man Enzo Fiorelli. But when the girl escapes, the Heelers realise they may have misread the situation. Sally is still in danger and Tom must lead a desperate search to save her life. Adam and Dash find Tony Timms, intrepid reporter for the Mt. Thomas Gazette, dazed and injured on the riverbank while they are investigating a reported explosion. Tony is eager to recover his camera but he won't say who attacked him or why he was there — but promises his story will "rock Mt Thomas to its very foundations." Speaking of rocking foundations, Keith Purvis strolls in to the station to report the theft of his gelignite explosives. The Heelers get a clue after they attend a charity dinner at the Imperial after all of those who eat the fish come down with food poisoning. Could it be that the Mt. Thomas River is polluted? Sure enough, the Heelers discover some suspicious looking barrels in the river. But Doctor Zoe's tests show that the drum contents had nothing to do with the fish poisoning. Meanwhile, Chris reports that the Akubra hat containing the money collected at the charity dinner has gone missing. The suspects include Keith Purvis and his new lady love, local pig farmer Doris Little. Or was it Jeanie, the cook, resentful of the implication that she poisoned the fish? And how was Tony Timms and his keen youth trainee involved? Maggie and PJ realise they won't find the answers unless they can find out just why Tony was attacked. Obviously, Tony suspects someone of environmental pollution, but who? The pair find themselves turning into investigative reporters to follow his story leads. But the answers they find are not what they expected. Dash is befriended by a stray dog, but when she brings it back to the station, it tries to attack Nick and generally causes havoc. When Tom orders her to send it to the pound, Dash defies him, becoming almost obsessively defensive of the animal. Could this attitude have something to do with the news she has just received about her medical condition? Instead of obeying Tom, Dash advertises on local radio for the owner of the dog to come forward. Unfortunately, two contenders appear and, judging by the dog's attitude, neither of them is the real owner. What is going on? Dog attacks have been reported in the area, and the Heelers suspect Dash's new canine friend is the culprit. But when a man reports that his mother's new overcoat was stolen, the Heelers meet another contender — the mother owns a pit bull terrier. 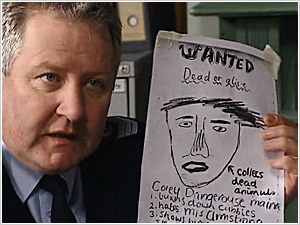 Meanwhile the Heelers are tracking down a Wangaratta man reported missing in their district. When they find him, he is dead — mauled to death by a dog. Suddenly things are looking very serious for Dash's dog. Dash is able to discover that her dog belonged to the dead man, whose body was found not far from a hidden marijuana plantation. She refuses to believe that his own dog turned on him, and persuades Maggie and PJ to look further into the case. Tom is seriously annoyed with Dash for her insubordination, but the wind is taken out of his sails when she tells him of her medical diagnosis. Tom is faced with a dilemma when a mother asks him to protect her son, a convicted felon who is back home after an early release. The boy was responsible for the particularly cowardly armed robbery of a local real estate office which traumatised the owner's wife so much that she later committed suicide. Her husband seems a reasonable man, but could he be harbouring feelings of revenge? Someone has to be responsible for the threatening phone calls and broken windows the family is getting. The Heelers question an old associate of the son's and, by chance, discover him to be in possession of a stolen police gun. The news almost immediately brings Detective Sergeant Ben Stewart, from Organised Crime, to Mt. Thomas. He has been on the trail of these stolen police weapons for the past two years, and is excited to have a positive lead at last. Ben Stewart fits in very well at Mt. Thomas — almost too well for PJ's liking as he takes an immediate shine to Maggie and wants to ask her out. Unable to reveal his own relationship with Maggie, PJ has to watch helplessly as this attractive newcomer makes a play for his girl. Meanwhile the associate swears he bought the gun yesterday but cannot describe the seller. A frustrated Ben offers to help PJ as the attacks escalate on the released felon's family, a Molotov cocktail is thrown in their backyard, injuring their dog. Tom is determined to find the culprit, especially after he learns that the mother has not got long to live and is relying on her son to bring up his brothers. But when PJ and Ben arrive at the house to investigate the last outrage, they walk into a siege situation. Guest Starring: Paul Bishop as Ben Stewart, Leigh Morgan as Kaye Hood, Sullivan Stapleton as Anthony Hood, Torquil Neilson as Darren Dawson, Lew Luton as John Goddard, Maggie Browne as Sharon Goddard, Matthew Dodds as Gary Hood, Jared Barclay as Stevie Hood, Ben Green as The Interviewer, Sophie Lampel as Hayley the Barmaid. PJ is pressuring Maggie to get out of her date with Ben Stewart as they are driving along the road from the local tip, when they notice a car that has run off the road. As they radio for an ambulance, they discover the real cause of the accident — the driver has a bullet through his head. Ben is immediately interested, convinced the unknown gun seller from last week may have been involved. He is particularly interested in finding a bullet from the gun to see if it matches one that was used to murder a police mate of his two years ago. Unfortunately, the only available bullet is in the driver's head. When Det. Sgt. Peppy Romano arrives from Homicide, Ben starts to act strangely. Obviously these two have a history, but it is one they are unwilling to share with the curious PJ and Maggie. Peppy almost immediately announces his chief suspect as being the new wife of the brain-dead driver, citing his reason as the large life insurance policy held by her husband. But the two representatives of an American cryonics organisation turn up to claim the body, explaining that the man had previously signed over his life insurance to them in return for freezing his body for future rejuvenation. When the body goes missing from the hospital, Peppy is even more convinced that the wife was somehow responsible for the death and PJ is inclined to go along with him, after all, he is a highly experienced Homicide detective. Maggie, on the other hand, is aware that Ben doesn't trust Peppy and supports his search for another bullet. But it is only when an old hermit, who lives in a humpy at the tip, turns up with a gun that the real story starts to emerge. 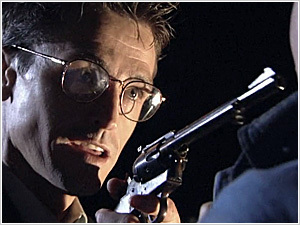 Ben triumphantly discovers from the serial number that this gun is one of the stolen ones, and prints on the gun lead to a local thug, young Trent Kenny. PJ questions Trent, forcing him to admit that he was at the tip and in the act of buying the gun from a stranger when they were interrupted by the driver. He says the stranger grabbed the gun back from him and fired wildly at the driver, who drove away. Ben is convinced that this is the same gun seller and, what's more, that he holds the key to the gun mystery that has obsessed him for the past two years. PJ and Maggie find themselves helping him track down the stranger, still puzzled by Peppy's role in all this. Guest Starring: Paul Bishop as Ben Stewart, Karen Davitt as Dr. Zoe Hamilton, Joe Petruzzi as Peppy Romano, Rebecca Macauley as Jill Foster, Daniel Fletcher as Trent Kenny, Fiona Walsh as Nola Budge, Michael Ellenford as Vince Allen, David Watson as Old Horrie, Nancy Black as Claire Janssen, Robert Cooper as Dr Steiner, Justin Marsden as Grant Foster. When Maggie and PJ are called to a wealthy grazier's to investigate a wool theft they are greeted by a mob of naked sheep instead of the empty wool shed they expected to find. The grazier points the finger at an ex-shearer and old-time rival, but Maggie and PJ discover he is not the only person with reason to dislike the grazier. Other suspects include the recently sacked manager of the property and the grazier's own daughter who has her own powerful reasons to resent her father. As they investigate the theft, Maggie and PJ discover a secret love affair between the daughter and the son of the man he most despises, the ex-shearer. Could the two of them be planning to use the stolen wool clip to start a new life together? The boy is a talented pianist and Dash's mum, Beth McKinley, is leading a group of citizens raising money for him to study music overseas. Dash, meanwhile, is recovering from her first chemotherapy treatment for cancer and finding it difficult return to work and get on with her life — until the missing wool is found in the possession of her mum. Dash decides to put aside her fears and clear her mother's good name. The discovery of the kids' secret love leads to a renewal of hostility between their two families. But when their children are accused of the theft, their parents are forced to come forward, revealing a guilty past of lost love, deception and betrayal. Guest Starring: Peter McCauley as Lionel Hughes, John Arnold as Mick Devlin, Paulene Ferry-Beitz as Beth McKinley, Peter Barron as Phil Mason, Simon Russell as Jamie Devlin, Marni Reece-Wilmore as Kate Hughes, James Patrick Reed as Rowan Rogers, Sophie Lampel as Hayley the Barmaid. 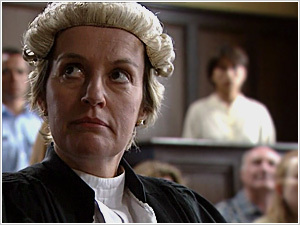 Note: Peter McCauley is married to Catherine Wilkin who appears in the reoccuring role of as Sally Downie in series 4-6. This is his only guest role in BH. Maggie and PJ find their relationship under pressure when a visiting detective is accused of murdering a petty crim and drug user. The dead man is a vital link in a case involving three missing police guns and the discovery of Ben Stewart crouched over his body leads inevitably to the conclusion that he is the murderer. Ben makes no secret of his personal feelings for Maggie and turns to her for help in proving his accusers wrong. But while Maggie staunchly believes in Ben's innocence, PJ can only go on the evidence, which starts looking worse than ever when the murder weapon is found in the back of Ben's car. Maggie and PJ's opposing views about the case lead to conflict, each of them accusing the other of allowing their personal feeling to interfere with their professional judgement. Maggie teams up with Ben to get to the bottom of things, leaving PJ distinctly on the outer. As Maggie and Ben investigate, they begin to realise all roads lead to Ben's bitter rival, a detective sergeant of the Homicide Squad, but while the truth gradually reveals itself, solid evidence is harder to come by and they must renew their efforts to get PJ on-side. Nick questions his ability to continue in the Police when he is duped by a sexual abuse case, and then makes a bad call in another related case when a woman asks for an Intervention Order against her ex-boyfriend, but Nick merely asks the man to stay away from her. When the woman ends up in hospital with a broken neck and her estranged boyfriend attached to her spinal halo, Nick must devise a way to bring the man down without further endangering the woman. Tom and Chris' longstanding friendship is put in jeopardy when Chris finds a fifty-year-old journal in the cellar of the Imperial. The journal appears to have been owned by a young woman and Chris discovers that it is the true account of a romance gone wrong ending in murder. Chris brings the journal to Tom, asking him to discover the identity of the murderer and bring them to justice. There are no names used in the journal, but nevertheless Tom works out that the owner is a local spinster, Winifred Starling — the last person you'd ever suspect of hiding a murder for fifty years. Now that the owner of the journal has been revealed, Chris wants the investigation dropped, she doesn't want to see this woman put behind bars. Tom isn't keen on throwing the woman in the cells either, but a murder has been committed and he has no choice but to continue with his enquiries. This puts Tom and Chris, normally allies, head to head, with Chris aggressively defending the woman and Tom bringing her in to face the murder charges. But all is not what it seems. Tom begins a desperate search to uncover the truth behind the crime. It doesn't help when the woman confesses to the murder, claiming that all these years of silence have worn heavily on her heart. PJ brings the unfortunate news that it is time to charge her and inform Homicide that they have a case for them. Tom convinces PJ to wait just a little longer, and gets a hunch that if they look hard enough into the case's history they may be able to prove the murder was all in the mind. The Heelers are puzzled when PJ starts behaving strangely after a married couple, Janet and Kevin Shaw, is brought back to the station following a violent domestic. Maggie is especially worried, as it begins to look very much as though PJ is having an affair with the wife, a nurse at the local hospital. But what this woman really wants is PJ's help in breaking some bad news to her husband. PJ is later forced to reveal this news to Maggie and explain what has prompted his strange behaviour. PJ hadn't thought twice about an injury received while rescuing a bloodied driver from his mangled car but Janet has since told PJ that she has caught HIV from a needle-stick injury while treating the same man. PJ could now also be infected and therefore so could Maggie. While they start their two-week wait for the results of PJ's blood test, the man is captured on a security camera holding up a service station with a syringe full of blood. Further investigations reveal that he is a known intravenous drug user with a criminal record. His HIV positive status now seems certain. With the personal and professional pressure mounting, PJ finds himself having to tell Tom his fears. Maggie knows that if she has to tell Tom the truth about her involvement, he will know about their love affair and will end their working relationship. In a profession such as theirs, a smear of blood can ruin lives just as surely as a gun, and before Maggie is forced to tell all, PJ discovers that the truth is not quite what it seems. Mt. Thomas is in the grip of fear as a serial killer stalks the area. But as police from around the state work to bring the man down in an organised sting, Adam notices a bystander behaving strangely and, acting on his instincts, is able to take the armed man into custody. In one swift move Adam ends the manhunt and makes himself a hero. As the Heelers review the event, the discussion turns to the new technique of "profiling". Maggie has recently learnt about it in a seminar and Adam is fascinated with its capabilities. But Nick maintains that it was old-fashioned policing that had captured the killer the day before, and it'll be the same thing that catches another killer tomorrow. Adam's interest in the issue stays keen as he helps to investigate a quick succession of fires at the local primary school. According to the rules of profiling, an adult psychopath usually displays three behaviours as a child — arson, bed-wetting, and animal mutilation. When Dash and Maggie are called to the home of a local teacher whose cat has been gruesomely mutilated, there seems little doubt that they have a budding serial killer in their midst. Four suspects come to light and Dash is appalled to find that one of them is her own niece, Fiona. Meanwhile, Adam's enthusiasm for profiling leads him to the wrong conclusion and he finds himself, and one of the innocent kids, trapped in an empty classroom. As the real offender sets the classroom ablaze, it's a race against time to locate Adam and the boy and save their lives. Ben Stewart returns to a permanent posting in Mt. 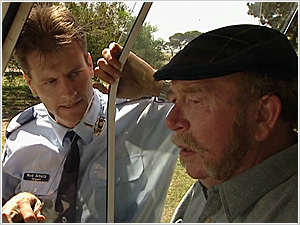 Thomas having been demoted to Senior Constable for punching Detective Romano. Tom, already displeased his station is being used as a "Siberia for erring detectives", is skepitical Ben can adjust to life as a humble uniform officer keeping the peace in a small country town but Ben assures him he is up to it. However, Ben soon puts the Heelers loyalties to the test when he becomes the focus of an investigation into the death of a local woman in Witness Protection. Maggie has convinced PJ to join her in investing in a land deal but when they arrive at the solicitor's office to collect the papers they find the solicitor dead. He has a gunshot wound to the head, a gun in his hand, and a note on his computer which reads, "I'm sorry I failed you all". It seems undeniable that the solicitor has committed suicide. With their $10,000 on the line, Maggie and PJ lost are both eager to begin an investigation into the matter but Tom will not allow Maggie to continue because of her personal involvement. However, PJ stays on the case, safe in the knowledge that his investment, like his relationship with Maggie, will remain a secret. PJ does not hold great hopes of getting the money back, especially when it is suggested that the solicitor had a gambling problem. But Ben is anxious to help Maggie and vows to do everything he can to return her money. PJ sees this as a challenge and both men vie to be the first to find the money and win Maggie's favour. Ben and PJ reurn to the solicitor's office and discovers a second bullet in the wall. It seems that the solicitor was murdered. The next of kin, Gerard Landers, is to be informed of his brother's death, but when Maggie and PJ arrive at his business they discover he has been involved in a workplace accident. He was checking a printing press, slipped, and had his finger cut off. They take the very uncooperative Gerard to hospital only to discover that the severed finger they thought was packed in ice, and the valuable ring that was on it, are missing. Gerard is more concerned that the Heelers find his ring than the killer of his brother. But when Gerard's business partner vanishes, PJ wonders if he may have stolen the ring as part of his revenge on Gerard. Or is this an elaborate plot to hide that finger that matches a telltale print at the scene of the murder? As the Heelers search for the truth Maggie and PJ believe that even if they solve the case they may never see their $10,000 again. Nick is awakened in the middle of the night by a drunken tour operator who reports that one of his clients has gone missing in the National Park. The Heelers question the woman's husband and their pregnant friend, but they say the woman fell behind during an evening bushwalk and just… disappeared. While the Heelers are conducting a thorough search of the park in daylight, PJ wants a word with Aussie Andy, the tour operator, believing that his drunken carelessness may have contributed to the woman's disappearance. But when PJ and Ben are climbing up the rocky bluff where Andy is supposedly searching, PJ falls and twists his ankle badly. Unfortunately their only radio was smashed in the fall, and PJ finds himself extremely grateful for Ben's help — especially as he has insisted that they carry on. Up on the bluff, Ben finds a lost gold earring. Meanwhile, Adam discovers the woman's charred remains in a burnt-out cabin and Dash is assigned to break the bad news to the pregnant friend who is waiting back at the hotel, and ends up comforting her. Maggie begins to worry about the still missing PJ and Ben, and goes looking for them. At the same time, Adam is reporting his suspicions about the fire to Nick — he thinks accelerant was used. Could it have been suicide? This seems the likely explanation when Dash learns from the pregnant friend that the woman was depressed about her infertility, but when Dash also learns the infertility was caused by chemotherapy, she begins to worry about her own ability to conceive a child. When Maggie finally finds PJ and Ben and brings them back, PJ is not so willing to accept the suicide theory. And it seems his instinct I right when it is learned that the woman, found wearing one gold earring, was dead before she was burnt and died of injuries consistent with falling from a considerable height. Someone pushed her off the bluff. Aussie Andy has a record for assault on a woman but when questioned he denies any involvement, and PJ finds himself inclined to believe him. So who did push the woman off Lover's Leap? When the case is finally solved, the Heelers are able to get back to celebrating Tom's birthday and Adam produces his choice of present. A spate of false security alarms is keeping the Heelers on their toes. Tom is becoming increasingly frustrated with the owner of the alarm company, Roland Halliday, and his inefficiencies — if the Heelers are constantly being called to false alarms they will have little time left to pursue real crimes. Meanwhile, Adam is involved in a more pressing matter. His mate Croc Perry has been involved in an incident at the local fast food shop. Adam keeps him out of hot water and also makes amends with the shop proprietor, earning his gratitude — Adam's burgers from now on are free. Tom is unimpressed with Adam for exercising poor professional judgment by associating with the likes of Croc. Tom's disaffection worsens when Adam brings in free hamburgers for all the Heelers. In Tom's view accepting gifts, no matter how small, is skating a little too close to corruption — nothing is free in this world. Nick also knows Croc: he is one of the local boys who Nick has been trying to help. However, despite wanting to believe the contrary, it seems that in Croc's case Nick's words are falling on deaf ears. Nick's worst fears are realised when Croc is accused of being behind a serious incident at the building site where he works. Could Croc have sabotaged the site, intending to wound either the site foreman or the construction boss? Another alarm sends Adam and Dash rushing out of the station. This time the alarm isn't false, and the Heelers arrest two offenders but Nick is disappointed to find that they are two of the "success stories" from his youth group. The case against Croc takes a turn for the worse when the building foreman is found bashed on the site. Nick begins to give up hope that Croc could be innocent, but determined to stick by the boy, he begins a search for the truth. Note: Craig Perry was played previously by Jasen Rosenbaum in episode 4.14. Ben fights for the life of a suicidal teenager who has been in trouble with the law too many times. Ben believes that the boy's crimes, like the suicide attempt, are really cries for help and when the Heelers find him in a terrifying situation with his estranged father, Ben realises that the boy's life rests in his hands. Meanwhile, Adam's involvement with security company owner Roland Halliday places him in a difficult position when he uncovers his insurance scam. While out on patrol with Nick decides to give Ben the experience of one of Mt. Thomas's many fine restaurants — the Demirs' kebab shop. They walk in on a dispute between the owners and are shocked to learn that the conflict is over the arranged marriage of their seventeen-year-old daughter, Deniz. Nick is concerned that Deniz has been coerced into the marriage, but she assures him that she's happy to be marrying, despite it being to an older man she has never met. Alerted by concerned citizen Leila Clegg, the Heelers are also investigating reports of a prowler peeking into ladies' windows and disappearing with items from their backyards. When Maggie and PJ arrest a suspect, they discover that he is a Turkish national, an illegal immigrant who speaks no English. Deniz is brought in to translate and it is revealed that he is also party to an arranged marriage, but this one seems to be a scam. Next, Nick is horrified to learn that Deniz has disappeared, apparently snatched from her bed. Has she been taken by her former boyfriend? Is she being held until the wedding takes place? Or will Nick have to face the prospect that she has had second thoughts about the marriage and one of her relatives has taken her life rather than have her disgrace the family? As Nick searches for Deniz, Maggie and PJ begin to discover links between the missing girl and the Turkish national. Could Nick's prejudice against the arranged marriage have made him blind to a larger scheme and put Deniz at risk? Note: we last saw the Demir family in episode 4.07 when the father, Osman, was played by Gary Baade. We will see them again in 9.18. When Ben and Dash visit a farm to enquire about a spate of thefts in the district, they discover that those pillars of the community, the Frasers, are involved in a violent argument. Ben tries to resolve the dispute between father and son but is hampered by the Frasers' belief that what happens in the family should stay in the family. When Ben spots a black eye on Mrs Fraser, he fears the situation may be more serious than he first thought. However, Tom refuses to believe that Mr Fraser would be capable of beating his wife. The conflict over this issue creates a tense situation for Ben and Tom as they begin to clash over issues of operational responsibility and initiative. As the war of words continues, Nick, as Sergeant, is brought into the argument. Ben wonders why many of Nick's jobs are done by Tom — does the Boss have reservations about Nick's competence or is he just holding onto the reins too tightly? While Nick is glad for Tom to deal with some of the dull paperwork, his conversation with Ben makes him question the way things are run in the station. As the investigation into the farm thefts continues, Tom discovers that a former offender, Gary Scully, is back in town. These thefts seem to correspond with his previous crimes, but he insists that he has left that life behind him. However, when the Frasers' brand new tractor goes missing and Scully's camp is found near the site of the theft, PJ can't help wondering if Gary's up to his old tricks again. The situation escalates when the Frasers' ten-year-old daughter Danielle goes missing. She had been seen a number of times in Scully's company — is it possible that he has abducted her? When Maggie finds a girl's hair clip at Scully's camp it becomes more difficult to deny that he has a part in the little girl's disappearance. As fears mount for Danielle's safety the Heelers, like the Frasers, forget their differences and band together in the desperate search for their little girl. Chris Riley finds herself the target of big business when a representative of a large development group comes to town. He wants to demolish the Imperial and replace it with a huge shopping mall and is offering a very generous sum of money to have his way. Chris has her reservations but will the financial reward be too much for her to ignore? Meanwhile, Adam finds himself attracted to a glamour photographer that he pulls over during a traffic blitz, and an undertakers' convention at the Imperial attracts trouble. When Adam discovers that a car he has just purchased is part of a stolen car racket, his loyalty to his job and friends hang in the balance. Adam has to make a decision, should he own up and lose risking his money, or just keep his mouth shut? Some harsh treatment from Tom about Adam's handling of a spate of shoplifting incidents adds pressure to Adam's eventual decision. Note: one of writer John Ridley's early acting roles. Similarly his script for an episode in series 12 is among his earliest writing credits. Unexpected news from Zoe leads Nick to spring a surprise of his own — his resignation from the Victoria Police. In typical Nick style, he refuses to provide a reason for his resignation, hampering Tom's attempts to talk sense into him. 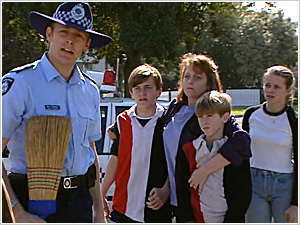 But as the Heelers try to discover the real motives for Nick's strange behaviour, an angry dispute over a parking ticket leads to the arrest of a chook farmer, the death of some chickens, and the disappearance of a parking inspector. The chook farmer becomes the prime suspect, but investigations unearth a secret life and plenty of people with good reason to hate the officious inspector. When a wedding celebrant visits Nick at the station and he is sprung baking a wedding cake, the Heelers finally put two and two together to discover the truth. Nick tries to create a smokescreen by claiming that elderly residents Leila Clegg and Merv Poole are tying the knot, but Zoe blows his cover and admits that she and Nick are indeed getting married. Tiring of Nick's erratic behaviour, Zoe calls off their wedding. The crisis that follows culminates in Nick saving Zoe from being caught up in the chicken farmer's plans for a fiery end, and teaches him some hard lessons about love and commitment. Ben clashes with Tom when he finds himself championing the cause of Maureen Ritchie and her three foster children — in particular the two boys Scott and Jason. Ben's involvement with Maureen is made more intense because he is missing his own three kids and has concerns about his son's upcoming birthday. 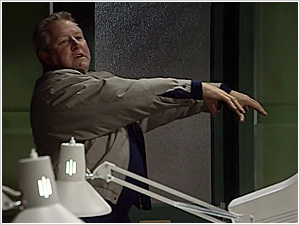 Ben is warned by both Tom and Maggie not to get in too deep, but he is enraged when Maureen's neighbour, Herbert Fisher, is robbed and the finger is pointed at the two boys. There have been several incidents of vandalism in the street and Herbert has been waging a campaign against the boys. Ben is sure that Herbert Fisher is trying to set the boys up to get them removed from Maureen's care as he has made it clear several times that he wants the boys gone. Ben and Maggie then discover that Maureen's estranged husband, Joe, also has reason to want to get rid of the boys. He blames them for not only driving a wedge between him and Maureen but also for the eventual break-up of their marriage. When the missing money is discovered in Joe's possession, it seems they are definitely on the right track. It is only then that suspicion starts to fall on Maureen and Joe's natural daughter, Kim. Ben discovers that she knows more than she should when it comes to the disappearance of the money. When Ben confronts Kim about this, she tries to shift the focus off herself by making false accusations against him. Ben now finds himself having to clear his name. His close relationship and feelings towards Maureen and her foster family now take a serious turn and jeopardise his chances of proving himself innocent. What it finally comes down to is Ben's word against Kim's. But even if Ben is able to find a way to prove his innocence and keep the Ritchies together, will Tom be able to accept him as the sort of copper he can trust? Maggie's life is turned upside down when her brother Robbie shows up after having escaped from gaol. When she can't give him the help he expects, he takes off and the Heelers begin an extensive search. However, what appears to be a simple job turns into a frightening chain of events and Maggie finds herself in a struggle to save the life of a five-year-old boy from the hands of a determined killer. While she waits for the final test results of her cancer, Dash becomes drawn into a case involving Karen Healy, one of her old and trusted school teachers. She first comes into contact with the woman's family when Adams rescues her son from an abandoned refridgerator. Injuries to the young boy raise suspicions but not enough to warrent an investigation. The Heelers are forced to take a harder look at Healy family when their infant daughter is twice rushed to hospital and their son's arm is broken. A surveillance camera catches Karen Healy attempting to smother her baby, but when the videotape goes missing from the station, Dash, having already come under scrutiny for misplacing evidence as well as being the woman's friend, becomes an immediate suspect. Adam's reported involvement with the woman's husband, the owner of the local car yard, places him under suspicion as well. As they fear for the jobs and worry about her upcoming doctor's appointment, Adam and Dash find comfort in each other's arms. When a vital piece of videotape evidence goes missing from the station, Tom has to face the unpleasant prospect that one of his team might be corrupt. As the accusations fly, Monica Draper arrives to conduct an investigation. Both Adam and Dash comes under scrutiny — both have a connection to the case and both had the means and opportunity. The stolen videotape incriminates Dash's ex-teacher — a woman who had a profound influence on Dash and convinced her to join the force. Could Dash have acted to protect her mentor? Adam's close connection to local businessman and politician Doug Healy also makes him a suspect. Did Doug pay Adam to break into the station and steal the evidence? The case against Adam looks particularly grim when Dash discovers the stolen videotape in his car. He insists the evidence was planted by Healy and the Heelers want to believe him, but the seeds of doubt have been sown. Meanwhile, a burglary victim reveals that not only is his stereo missing but $250 in cash. When the Heelers bring in a young girl she admits to stealing the stereo but denies knowing anything about the missing money. The Heelers are stunned when the furious victim accuses the Heelers of pocketing his money. Soon after, Dash can't help but ask questions when Adam pays $250 cash to buy her a present. 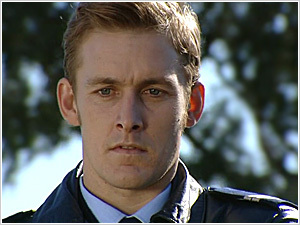 The pressure of the investigation creates an atmosphere of suspicion which threatens to split the close-knit Heelers apart and fears mounts that Adam may be corrupt. 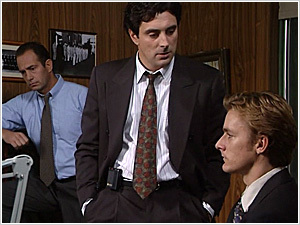 Even after Monica Draper discovers Doug Healy stole the videotape from the station and Adam is exonerated, the Heelers still feel lingering doubts about their colleague. PJ investigates and discovers that not all of Adam's dealings have been above board — his car is a stolen "rebirth" job. Not only that, but he can prove Adam knew it was stolen and chose to keep it quiet. Adam is feeling the pressure and when Tom confronts him with the matter of the stolen money, Adam lashes out and takes a swing at Tom. His career is over. Note: the final episode for Damian Walshe-Howling as a regular, he will return for the final two episodes of series 13.